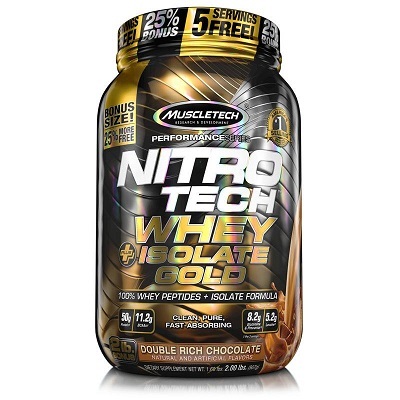 Nitro Tech Whey + Isolate Gold uses only ultra-pure, micro-filtered whey protein peptides and whey protein isolate. 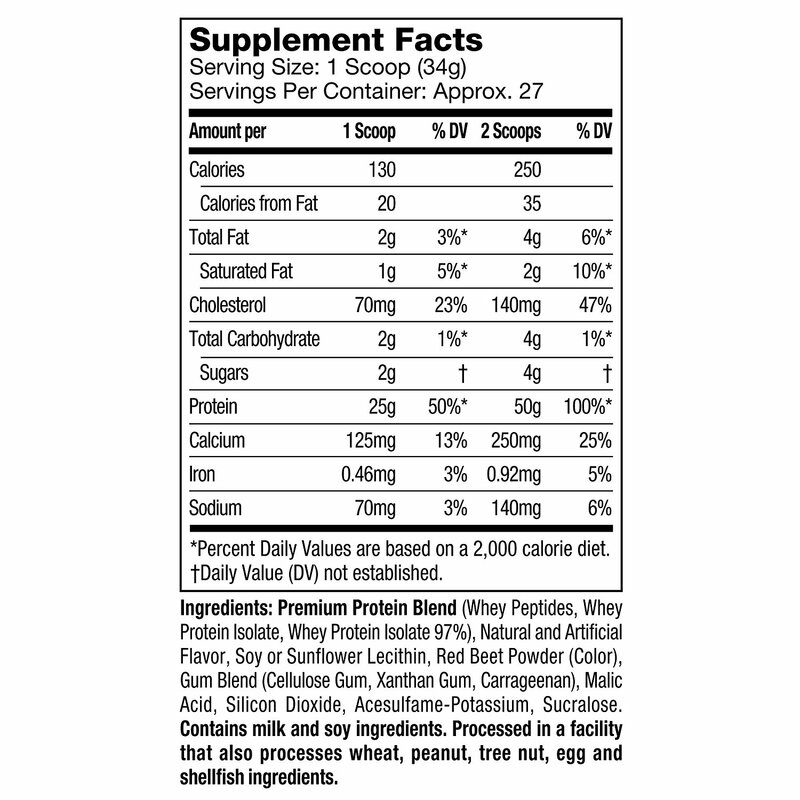 Each two-scoop serving delivers 50 grams of protein, 11.2 grams of naturally occurring BCAAs, and 8.2 grams of L-glutamine and precursor to help build lean muscle and promote recovery. With 20 years of innovation you can trust, Nitro Tech Whey + Isolate Gold delivers ultra-pure nutrition with award-winning taste. 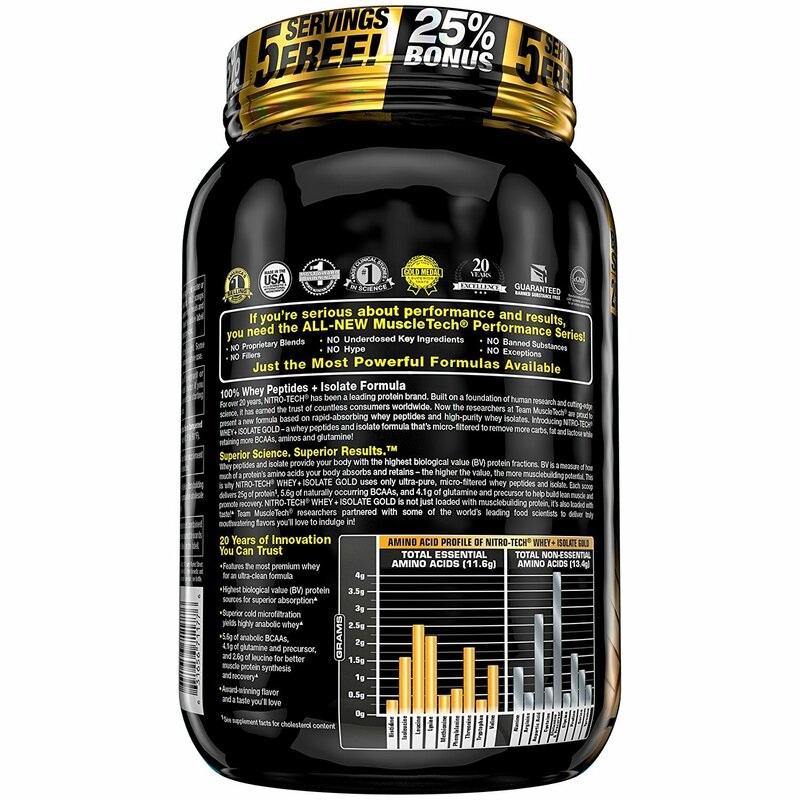 With a filtration process that uses precision technology to remove lactose, ash and fat, this amazing whey protein formula delivers the major bioactive whey protein fractions. Protein blend (whey protein peptides, whey protein isolate 97% ), coconut (processed with alkali), soy or sunflower lecithin, salt, gum blend (E466 cellulose gum, E415 xanthan gum, E407 carrageenan), calcium carbonate, flavoring, anti-caking agent (E551 silicon dioxide), sweeteners (E950 acesulfame K, E955 sucralose). It contains milk and soy. 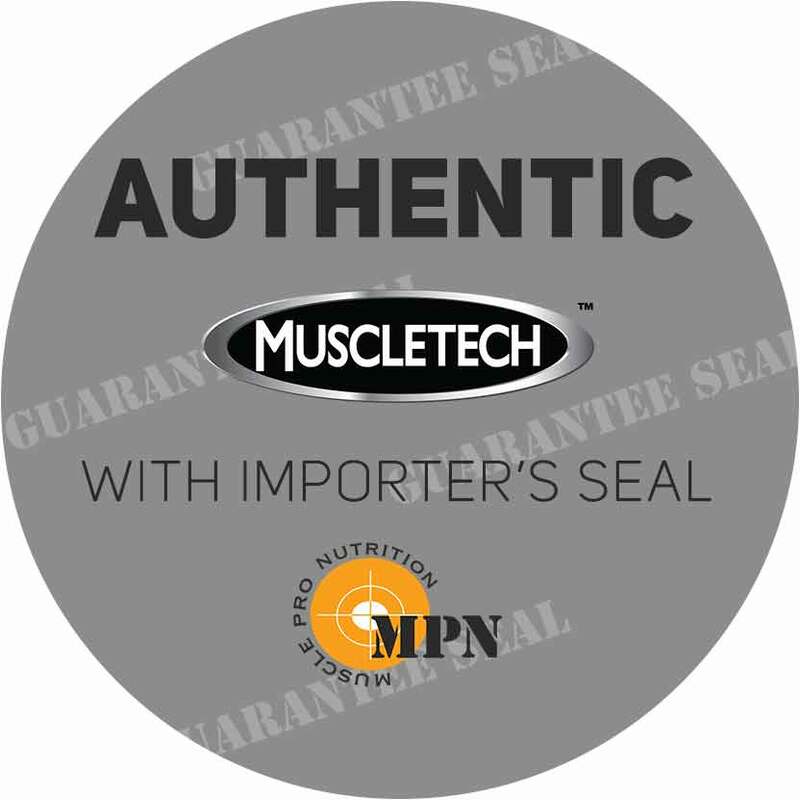 Manufactured in facilities that process wheat, peanuts, nuts, and seafood. Mix 1 scoop with 170ml of cold water or skimmed milk in a glass or shaker. Mix 2 scoops with 350ml of water. Consume it between your main meals and before and after the workout. This vanilla protein tastes so good and you can really taste the real vanilla flavor Was this review helpful?